Cyber Monday is right around the corner and so is the beginning of the gift giving season! What better place to start than at your favorite art blog, Acrylicpouring.com? 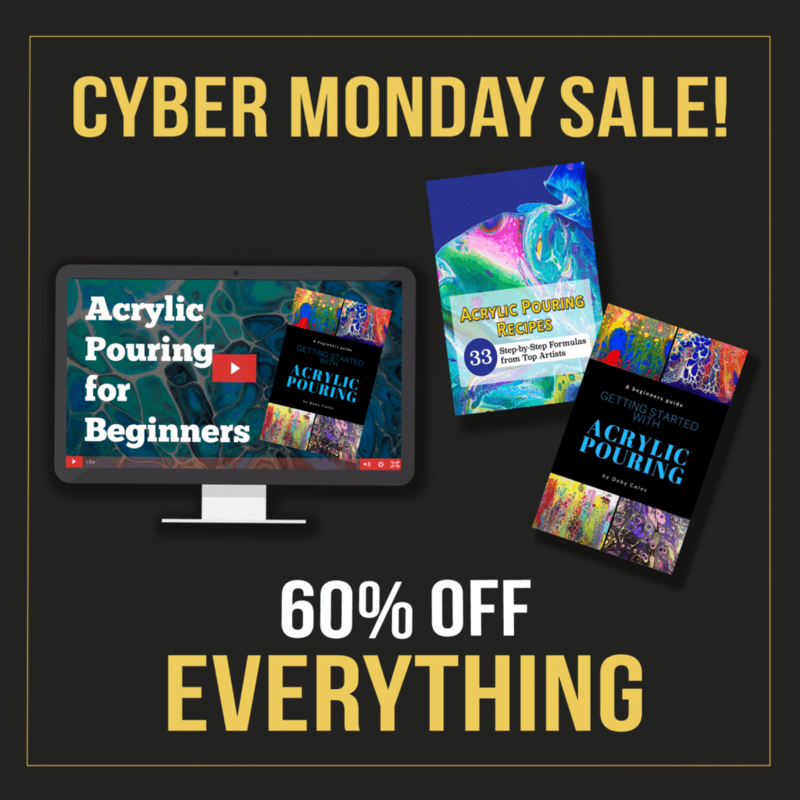 We’re offering 60% off on all of our online guides, books, and courses until Cyber Monday. Take this opportunity to freshen up some of your skills or introduce a friend to a new art style. Don’t miss out on your chance to get a killer deal on all of our online content to help you become an acrylic pouring pro!